The UK economy has the largest internet component of all G20 countries, according to research. According to the findings of research by the Boston Consulting Group, the UK internet economy – comprising businesses that deliver services using internet infrastructure – was worth 8.3% of GDP in 2010. This was the highest proportion of total GDP of all G20 countries. The Boston Consulting Group’s report – titled The $4.2 Trillion Opportunity: The Internet Economy in the G-20 – found the internet economy was worth £121bn to the UK economy in 2010 and projects this to reach £225bn by 2016. The research expects the UK's economy to retain the largest proportion of GDP derived from the internet when it reaches 12.4%. In the G20 as a whole, the internet economy was worth £1.45tn, which was 4.1% of GDP. The Boston Consulting Group expects the G20 internet economy to reach £2.65tn by 2016, 5.3% of total GDP. 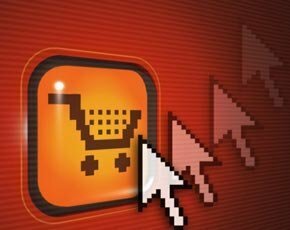 Dan Cobley, managing director of Google UK, said the report is encouraging and shows the UK internet economy is leading the world in e-commerce. “At a time of financial uncertainty, the UK internet economy continues to grow at an incredible rate, creating thousands of new businesses and jobs."